Charity events need to be successful. So to help make your charity event the success it deserves to be, browse the wide range of articles on organising events by clicking on the headlines below. 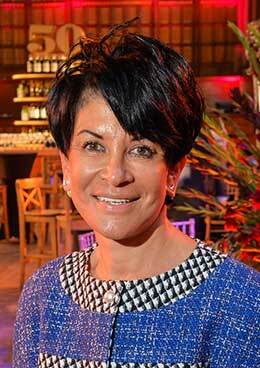 LIZ TAYLOR, owner of event management company the TAYLOR LYNN CORPORATION, says how to maximise the catering for your charity's gala dinner including introducing a wow factor. There was a time when the catering for a charity's annual gala dinner could be nothing less than a five-course gourmet seated meal, interspersed with a Loyal Toast to allow guests to smoke! Times have moved on, formats are far more innovative and flexible, and of course smoking is a no no! Anyone who worked in the charity sector in the early 2000s will remember those dinners. They were lavish, costly, and went on until the early hours, with guests dozing off during the auction. With guests paying a premium for tickets and various charities vying for their custom these events had to be perceived as being extravagant and exclusive. Used as an opportunity to entertain valued clients, individuals and companies wanted to impress their guests and get value for money. In those days steak was king - now it’s a steak pie that creates the wow factor. How times have changed! As an organiser you become responsible for all aspects of delivery and it is important to appreciate that whilst guests are not impressed with course after course, they do expect contemporary quality fine dining. Guests are paying premium prices for tickets, they are entertaining important clients, they are wearing black-tie and dinner dresses, and it’s a special occasion. Delivering all this is not just a vehicle to attract repeat attendees but it is also to ensure that guests do enjoy themselves. If they are having a good time then they will be inclined to dig deep and support the raffle and auction. So, how do you give your event that wow factor, while at the same time ensuring that you keep costs down, raising as much money as possible for your good cause? For those on restricted budgets, the best option is to buy inexpensive, more straight-forward food, but deliver it in entertaining and exciting way that guests will enjoy. It is not the recipe that counts, but the creativity with which it is presented. Sausage and mash, fish and chips, and even pie and peas are on the menu at the most exclusive of charity galas. However, while the food itself may be more informal, the focus on flavour and cutting-edge presentation has made the catering a more central talking point than it ever was before. To explain… you may have beef and ale or chicken and mushroom pie on the menu, but it will be served in an unusual individual dish, with a mini jug of hot gravy on the side. Or hot homemade soup – poured from vintage tea pots and drunk from an eclectic mix of vintage tea cups. Inexpensive - but effective. Fish and chips is a popular choice because it can be wrapped in paper, specially printed for the event with your sponsor´s or charity´s logo, and served on exclusive glass plates or cardboard trays. It´s challenging to serve, as frying fish and chips for the masses and serving all together is a chef’s nightmare, but it is inexpensive, fun and is everyone’s guilty pleasure. Sharing platters is a popular choice. People love to share food, and tapas style menus allow people to have a little bit of what they fancy, without being over-faced by a heavy meal. Platters can also be a great conversation starter by putting the food at the heart of the social occasion, and encouraging guests to interact from the start. Tables with a Lazy Susan (turntable/rotating tray) in the middle are another sociable option which allows you to keep costs at bay. Even if you stick to serving a more traditional main course, you can use this design to save time and serve one less course, by placing desserts and cheeses in the centre of the table at the end of the meal. When choosing catering, the sit-down meal is now only one of a number of options available. The traditional buffet table with a white starched tablecloth has been replaced by trendy food-stations, which are built to form part of the décor, which look great and save money on extra props and decoration at the same time. Using this option, the food becomes a theatrical part of the evening. Think kebabs and pizza vans, burgers, Asian inspired nuts and noodles, and duck spring rolls wrapped while you wait. You might even want to think about having a celebrity chef, or a finalist from one of the many TV cooking shows to cook live on one of the stations. If you are on an even smaller budget, you could still serve up a high-end event by opting for a cocktail style party with an extra special twist. Again presentation is the key. Bite-sized sushi, sea-bass and mini-burgers are tasty choices for canapés. Serving them on slates or light-boxes rather than traditional trays adds a quirky twist. You can also add to the theatre of the occasion by dressing the serving staff to match your theme for the evening. Drinks are an essential part of the catering, the choice of which can easily be overlooked in the early planning stages. Having a champagne drinks reception is lovely, but it also sends the budget sky high. Cocktails, while fun, can also put pressure on the budget as well and are difficult to follow with wines. Prosecco, however, is very in vogue and a much more affordable option. Served on its own – sub-zero temperature – and it is delicious. It is also the base for the famous Bellini at Harrys Bar or a serve with a number of other fruit syrups for guests to personalise their fizz. When choosing a design for the room it is important to think about the position of the bar. You may think that it is a good way to cut costs by using the venue´s own bar facilities, but a bar outside the main function room is a disaster! It’s a "never do" thing. It is key to keep everyone in one space, so always bring in a portable bar for the venue to serve drinks from. Trust me, it’s a planner’s trick. Circular bars can be great focal points for a room and can be a fantastic decorative addition. 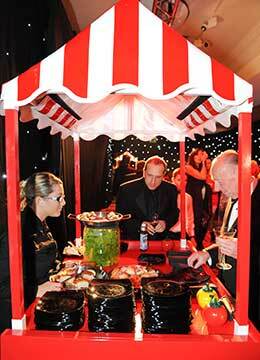 For example a rotating fairground carousel bar adds a striking feature to any room and is a wonderful talking point. The way the drinks are served adds another twist. Popcorn cartons filled with a secret cocktail recipe and topped with fresh popcorn are almost as exciting as the plastic zip-up bags – complete with a plastic goldfish inside and a straw – filled with vodka, lime and soda. Or to add to the dramatic effect, you can have staff deliver cocktails, such a watermelon and lychee martini, to the table in ornate bird cages – at a price of course, with a percentage going to the charity. A pick ´n´ mix sweet station is another relatively inexpensive way to add to the fun, fairground feel and to keep people involved and excited. The cost of these are relatively inexpensive and if you charge per bag you can cover the cost of the stall and raise additional money for the charity! Guests not only buy for themselves but end up taking something home for their children! Sponsorship of food or drink is another way to help manage costs on your catering budget. You might, for example, get a local wine company to sponsor your drinks reception, or a local cheese-maker to sponsor the cheese course. These are all great ways to bring down overall costs. However, during the planning stages you need to make sure that your venue will allow you to bring in outside food and drink. Some venues allow this, some don´t, and some will allow it for a fee. Make sure you know what the deal is, so that there are no nasty surprises on the day. Ultimately, as a charity’s event planner you are looking to showcase a fantastic night and raise as much money as you can. But it’s not a one event thing. The aim is for each guest to leave claiming it was the best night ever..and wanting to book for the next one, and the next one! Taylor Lynn Corporation's Liz Taylor - it is important to appreciate that whilst guests are not impressed with course after course at a gala dinner, they do expect contemporary quality fine dining. Trendy food stations, which are built to form part of the decor, can look great and save money on extra props and decoration at the same time. 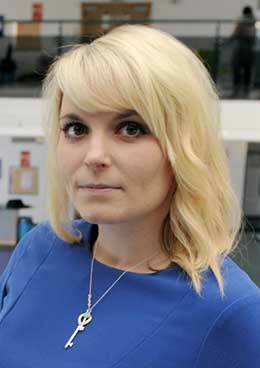 FRANCESCA PEARSON, head of the MEETING SPACE at MEDICITY, explains the "unconference" concept, how it reflects the charity model, and how it works to create better charity staff, volunteer and supporter events. When did you last attend a charity conference, or any other conference for that matter, which left you inspired and fired up to tackle your work with renewed vigour? The truth is that most of us are still prepared to register for an event, pay our fee, turn up and sit through scripted keynote presentations as passive recipients of someone else’s agenda. If we are lucky there are workshops to choose from and maybe an exhibition to wander round during breaks. The more enlightened organiser might even have encouraged pre-event networking through Linkedin or Twitter. However, the majority of today’s conferences still conform to an acceptable pattern; it’s what we expect but it’s unchallenging and might not achieve a great deal. Charity event organisers will be used to arranging a variety of gatherings, from conventional meetings of volunteers or staff field workers, workshops, to exhibitions and large scale conferences. However, when science, technology or creative experts get together, they tend to like to do things a bit differently. Not for them the traditional supporter or fundraising conference dominated by big-name keynotes, carefully selected panels and tightly packed exhibition halls or auditoriums. These are busy people who want results if they are giving up valuable chunks of their time. So they opt for the unconference, an event trend which is growing in popularity because it enables peer-to-peer learning, collaboration and creativity. So the unconference could provide an alternative format for the charitable sector to consider as you seek innovative ways to enthuse volunteers, impress funders and better understand the communities you support. This event format is participant designed and led, and gives everyone who attends the right to suggest a topic for discussion and to choose a time slot and a space for their particular session. The key to the unconference is the freedom to explore and solve problems outside a traditional rigid event structure. Such an approach was born out of the US technology revolution of the mid-1980s which required innovators to truly think outside the box. What is exciting that the unconference concept challenges charity event organisers to consider why they are bringing people together, what their needs are and how best to harness their enthusiasm, expertise, knowledge and desire for progress. Otherwise, why bother? Ideally, the delegates at an unconference are already part of a community and share a common goal. This suits the charity model well because most people will come into regular contact either as sponsors, volunteers or staff, drawn together with a common aim to improve the lot of your target group. There may already be a high level of knowledge, experience and expertise which participants are prepared to share and to learn from. Pre-gathering discussion online is to be encouraged because this can stimulate the topics which people might choose to tackle on the day. Once everyone has assembled, there should be an explanation about how the day is likely to unfold and an understanding of the "rules of engagement", especially for anyone new to the format. For this you should appoint a facilitator with a firm grasp of unconference principles, but who can apply a light touch to the oversight of the day. Ideas for discussion can be written on a white board, typed and projected onto a wall or collated from Post-It notes. Some people might choose to collaborate by merging topics once they see what others want to contribute, but very quickly the topics, times and location for discussion are sorted – and the unconference is underway. You won’t know until the start just how many of the delegates will choose to join your discussion session; it’s not the number who attend but their interest that is important. Think carefully about your aim, set clears goals and be prepared to be creative and experiment during the discussion. Assign a note-taker so that a record can be posted online afterwards for others to share. Find out how much each individual in your group already knows about the subject; but don’t let any one person dominate the debate and encourage introverts – all are equal. The session should be interactive and discussion-based; allow the conversation to flow, ask open questions and listen to what is said – and unsaid. Your session will last just as long as it needs to. Be prepared for people to leave or join you at any time as they are responsible for their own learning and level of input throughout the day. If you are attending a discussion, remember you are a participant, not the audience, so you have a responsibility to contribute and help fellow delegates get the most from the experience. Where do I hold my unconference? 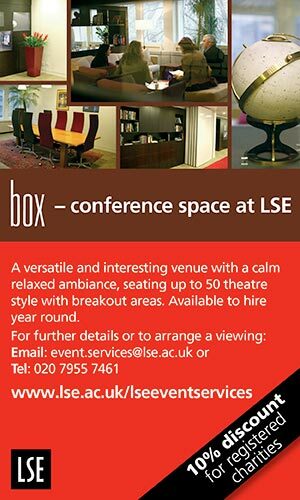 Venue design and quality of hospitality can influence the outcome of the unconference. Sector-specific locations are ideal, so if you run a charity working with medical or health communities you might decide to choose a university research centre or teaching hospital seminar space because participants will feel more comfortable in familiar surroundings. They might be less inclined to open up in a more public, neutral venue inhabited by strangers. Well lit, open atria which can be divided to take any number or combination of people work well. Look for plenty of quiet breakout spaces, and flexible seating arrangements. You want participants to feel comfortable, relaxed and free to move from one session to the next. Having a central point for refreshments will allow people to continue their discussions one to one or in small clusters at any time on the day, and I hope it’s now apparent that a buffet lunch or supper with plenty of healthy options, rather than a formal seated meal, is most conducive for maintaining the energy of the unconference. In March this year, the unconference format was used to excellent effect by social enterprise Team Blood Glucose (Team BG). They support everyone at risk of, and those with, diabetes and launched the Twitter-based Great Britain Diabetic Online Community #gbdoc in August 2012. Since then they have handled over 60 million impressions across 26 countries and facilitate a weekly Tweet chat. "Living well with diabetes" was the UK’s first patient-led and attended gathering of its kind. Diabetes is a complex condition and its management can require diet, drugs, exercise as well as mental health support. It involves families, friends and work colleagues and possibly, end of life care. Team BG are concerned that health professionals try to treat the condition rather than the patient so chose the unconference format to explore the issues, identify approaches that have worked for others and examine how these might be applied to the wider community. In self-organised conference tracks, participants used time slots and breakout spaces throughout the day to tackle issues they live with on a daily basis. “A conference of this type was ideal for people living with diabetes. Many of us living with the condition are accessing social media for advice and support, and I´ve seen a huge online community grow from that. Almost all of us have found that the best people to turn to for support and advice are other people who are also actually living with diabetes. There are plenty of online resources to help you understand more about unconference styles and facilitation, but I’d recommend you talk to organisations like Team BG which have put the theory into practice. The unconference certainly throws convention to the wind. Delegates are active, not passive; nobody is giving a presentation and overloading the event with Powerpoint slides; everything is unrehearsed and unexpected. That said, behind the scenes planning, especially the choice of venue, will give your gathering the chance to truly fly. The Meeting Space's Francesca Pearson - the unconference format is participant designed and led, and gives everyone who attends the right to suggest a topic for discussion and to choose a time slot and a space for their particular session. "...very quickly the topics, times and location for discussion are sorted - and the unconference is underway." "Be prepared for people to leave or join you at any time as they are responsible for their own learning and level of input throughout the day." 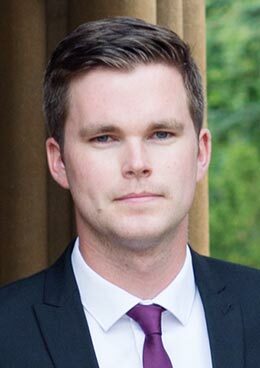 DALE NELSON, banqueting manager at MANOR BY THE LAKE, outlines some principles for tailoring the menu for your event to its nature. Any charity event organiser can simply pick up the bill for standard fare at an event, but if you really want to make an impression, personal touches matter and that’s why when hosting a charity event the menu should speak volumes about your charity and brand. Every charity is different, and will have different styles and different ideas of what a perfect event should involve. Food, and therefore the menu is at the very heart of this and will be the central focus. It will be what starts conversations and be one of the main things people will remember when post event evaluations take place. So take time to know your guests and create something bespoke for them. Even if it is a daytime seminar, volunteer or staff training event the food can make an important impact. In all cases, first, determine what you want to achieve. Say you are organising a fundraising lunch or dinner, do you want to provide your existing supporters or potential donors with a heavy 3-course meal or a light bite menu? Of course cost comes into it, and you will know how best to price the occasion to keep within your budget, which no doubt will incorporate some realistic estimates of returns from the occasion. Find out how many guest are attending the event as this will help to determine the amount of food that will be required which is crucial. Of course, you don't want to over order because you haven't got your final numbers right. However, you never want to have too little! It is important to understand the expectations: is a full 3-course meal expected or will it be a selection of light snacks coupled with a drink-focused reception? Secondly, what is the profile of guests attending the event? Consider their professional level, location, age, ethnic background and how regularly they attend these type of events. By taking all of these considerations into account you will be in a much better position to have a menu that will be most suitable for each particular event. Once you have determined the profile of the guests you are catering for, understand it. At the same time, you need to think about the character or image of your charity. This will help you to decide what type of menu you will offer. Attendees who have come to support a charity providing care for the elderly or promoting a healthy lifestyle might not want a burger or a rich food like venison or duck! Think things through to rule out certain foods and then do some research to ascertain what guests will enjoy the most. It goes without saying that you should make provision for those with special dietary requirements, but see more about this below. Offering choice at the actual event may not be practical in terms of budget at a formal lunch or dinner, but it should be when there is a buffet or food being taken round by venue staff. Ensure that you are able offer choices to suit all. Offer at least two starters, mains and desserts. Also ensure that the food suits the occasion, for example, for seminars, training sessions and lunchtime meetings to sell a project to key donors, keep the menu light with "brain food". For chewing over funding targets and other figures maybe coffee and comfort food, and for treating your volunteers and staff for a job well done something more indulgent! If it's a buffet of hors d'oeuvres, plan a menu of several different items with a total of four to ten pieces per person. Choose a variety of dishes that will suit all. Have some savoury, sweet, rich, light, hot and cold items. If you want to make an impression, ensure that you are aware of food trends and seasonal items. This will make your menu pop! Fresh fruits and vegetables will always have a better flavour and colour when they are in season so make sure these are incorporated into your menu. It will also help, as at certain times of the year certain foods are more easily available than others, so do bear this in mind. Another consideration when choosing your menu is to incorporate the time of year. For example, if it’s Christmas, you should be focusing on warmer, festive food. Timing is essential. The time of a meal can be the best guide to creating the perfect menu. If you are serving lunch, you might want to keep the food quite light and have lighter drinks too. In contrast if the event is in the evening for dinner it might be more appropriate to offer heavier courses with a bar and a choice of white or red wine, or indeed the opportunity of both. Think about what’s most appropriate at the time the event is being held. Discuss the menu with people who have attended such events of yours before or otherwise just supporters who you know would take a friendly interest. Run possible options by them just so you know you are on the same lines. Before any event, you have to find out if any of your guests have any dietary requirements or preferences so they can be addressed in the menu. You should be able to provide vegetarian, gluten free or other options. With healthy eating becoming increasingly important there should also be an option of lower calorie substitutes such as steamed vegetables and salad as a side dish. Finally, once the food has been considered and agreed make sure the venue is also suitable. Choose an appropriate room and layout which support your objective. If you are serving a formal dinner, ensure that there are enough tables, glasses, cutlery, candles etc and that they are of a suitable standard. Charity events can be extremely preference based, so be sure that you follow the above advice when it comes to organising the menu. Once the menu is signed off talk to the venue to ensure there are no surprises on the night. Manor By The Lake's Dale Nelson - once you have determined the profile of the guests you are catering for, understand it.